As I’m a self-proclaimed makeup fanatic, I believe I own more makeup than I do shoes. Ever since my love for wearing foundation grew, so did my collection of makeup and brushes. It got to the point where I had nowhere to store them! As I’ve mention in my Urban Decay Palette blog post, during my trip to New York (where I bought a hell a lot of makeup), I also purchased some MAC and Morphe makeup brushes, which again had a lot of praise in the beauty world. I must say, I was not disappointed with any of my purchases and a lot of the products I bought during that trip have all been gems! Right, so let us get onto the brushes. I have listed what I use each one for and you’ll notice that most of them aren’t used for any of their actual purposes, but that’s the beauty of experimenting right? This brush is designed at a flat top slant to help sculpt and define a contour. As this brush is extremely dense, I find it hard to blend out contour products, so I’ve discovered another use for it, which is to apply foundation! It applies on so quickly and helps to give a beautiful flawless finish due to the density of the brush. Buy here! 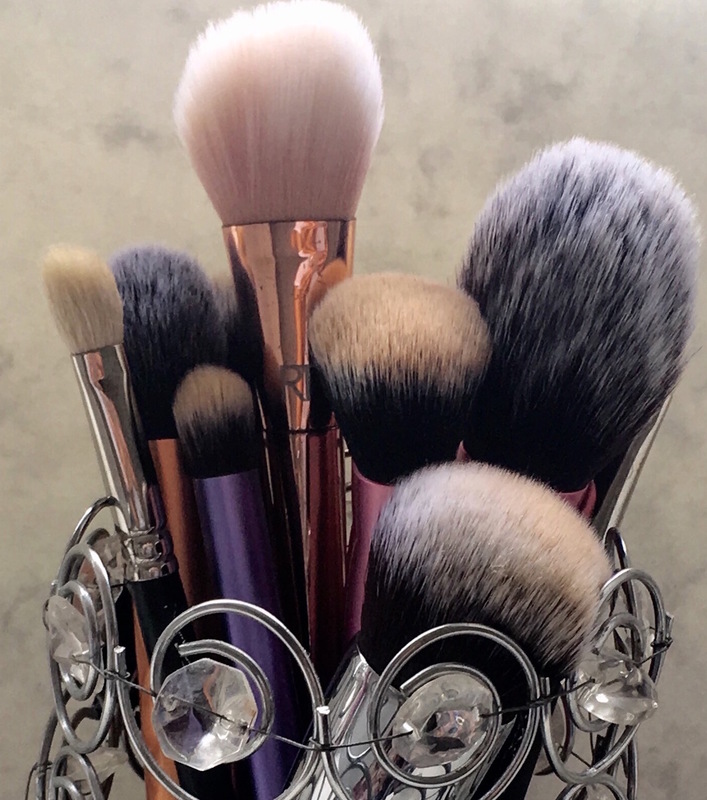 After hearing Jacqueline Hill – one of my favourite beauty gurus –rave about this brush, I knew it had to be mine. If I could choose one foundation brush to have for the rest of my life, it will be this one. It is a lot shorter than most foundation brushes, which gives you a lot more control of the application. It has extremely soft yet dense, dome-shaped bristles, which seamlessly blend foundation on like a dream. This is also a great brush to grab when you are in a rush. Buy here! I find that bronzers and blushers are one of those products you can go a bit overboard on if you don’t use the correct brush. This brush is tapered cut, which is great for getting into your contours. As the bristles are really soft, you have no fear of it picking up a lot of product and end up looking a bit like a circus clown. Instead, it makes it easy for you to lightly build on the product. Buy here! Designed to apply highlight to the cheekbones but I like to personally use this if I’m going for a heavier contour. The fact that it’s domed and has quite a small brush really helps define your cheekbones for a more dramatic look. I also like the fact that it’s not too soft or dense but somewhere in the middle which helps blend out the product seamlessly without creating any harsh lines. Buy here! I feel that this brush is made specifically for me to apply my beloved MAC Soft & Gentle Highlight. It is a rather small brush and has superset bristles, which are perfect for fitting into my cheekbones and creating a gorgeous highlight. You can also use this to set your makeup with a dusting of powder, but another way I like to use this is to blend out my concealer due to the coverage that it gives. Buy here! This is the only brush I own from the gold collection, but it’s so versatile that it has satisfied my craving of purchasing any more. Firstly, can we take a moment to appreciate how beautiful it is? It has silky soft bristles that come to a tip, which I feel makes it effortless to pick up product and concentrate on the area for blending. I like to use this to set my Laura Mercia Translucent Powder on my t-zone.Buy here! This brush comes in a starter kit for your eyes and as the name would suggest is used to apply the base for your eyeshadow, but of course, I have found another way to use this. This is a Godsend when it comes to covering any pesky blemishes. Buy here! The infamous eyeshadow blending brush and rightly so! I feel that if this was the only blending brush you owned in your collection then you will be set for life. I have tried many blending brushes but there’s something about the quality of the bristles that blend eyeshadow into the crease like nothing else! The way it’s tapered also makes it easy to get right into the crease of the eye. You can create both a natural or heavy eye makeup look with this brush as it picks up the pigment of the eyeshadow very well for a heavy look or you could sweep it across your eyes for a natural look. Both the MAC 217 & 239 brushes are worth investing in, as I have tried cheaper alternatives and they do not compare. I would say good eye makeup brushes are the foundation of any good eye makeup look. 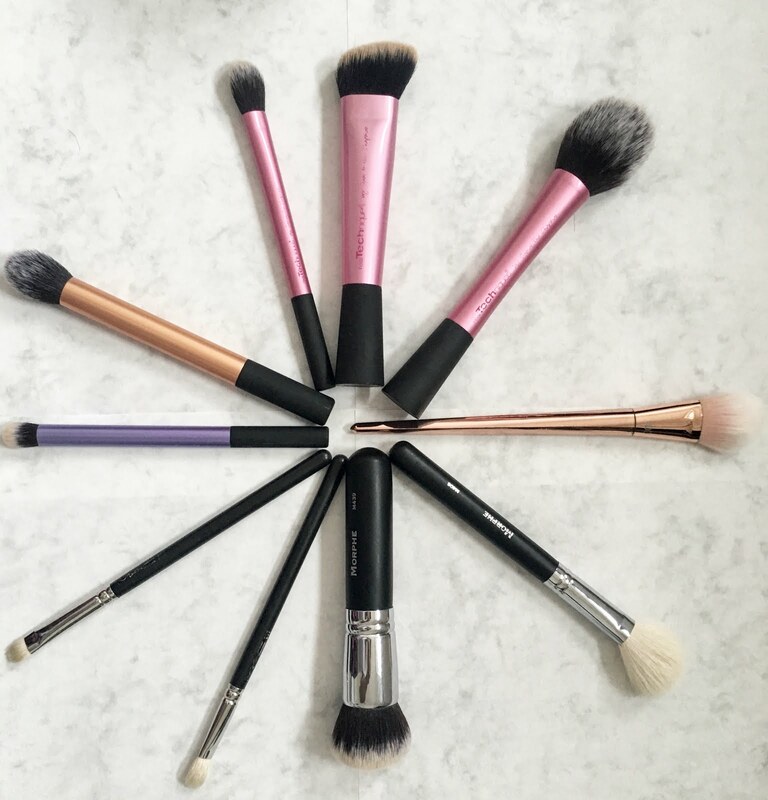 I can easily get by with all of these brushes indefinitely as I tried and tested many, but I am always on the hunt for new brushes, as quality brushes can really change the way your makeup is applied and looks.